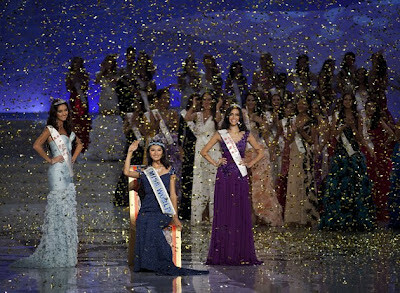 China's Yu Wenxia has been crowned the 2012 Miss World. This is the second time Miss China has been awarded the title. The last time was in 2007 when Zhang Zilin took the honor. The first runner-up is Sophie Elizabeth Moulds of Wales and the second runner-up is Jessica Michelle Kahawaty of Australia. The 23-year-old Yu is a music student who says she wants to become a music teacher.